Built by Harland & Wolff, Belfast, Hamburg-America's Prussia was launched in 1893, and made her maiden voyage from Hamburg to New York on 24 June 1894. 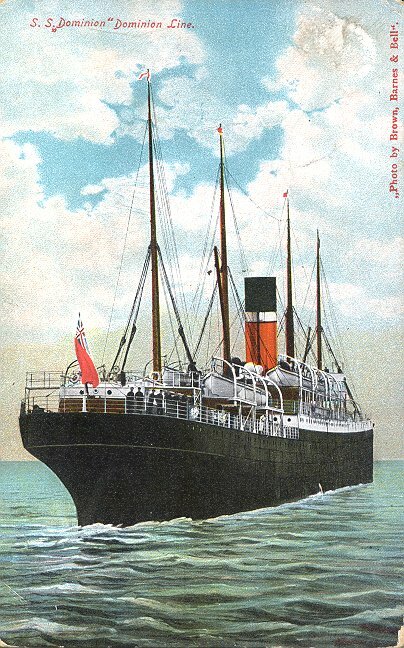 She remained on that service until February 1898, at which time she was sold to the Dominion Line and renamed Dominion, the second ship to carry that name. 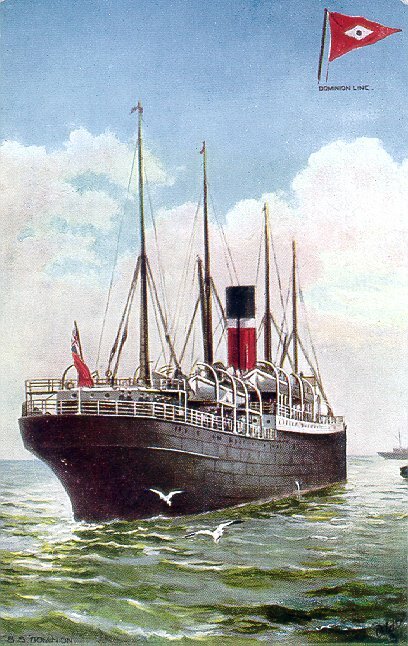 Her first voyage for Dominion, after a substantial refitting, began in Liverpool on 7 May 1898, and took her to Québec and Montréal, on Dominion's principal service. 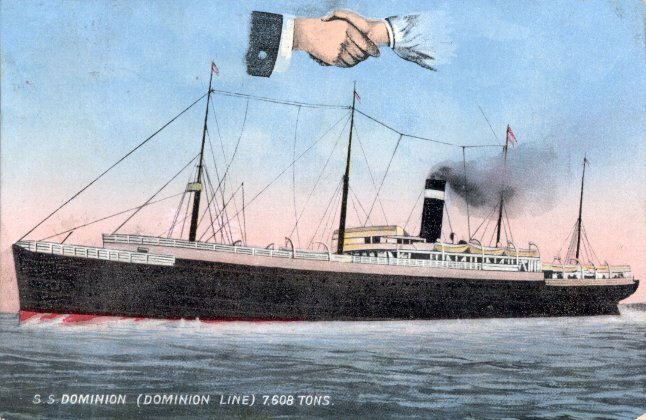 When the White Star/Dominion joint service to Canada was instituted in 1908, Dominion was largely unneeded, so from then until 1915, she was periodically chartered to the American Line for service on American's Liverpool-Philadelphia route. In all, she made 28 American Line roundtrips during these years, together with White Star/Dominion service to Canada in the winters. During World War I, Dominion served as a storeship and supply vessel before returning to commercial service in December 1918. Converted to a cargo carrier in 1919, she made her final sailing, from Liverpool to Portland, Maine, in February 1921. Dominion was scrapped in Germany in 1922.